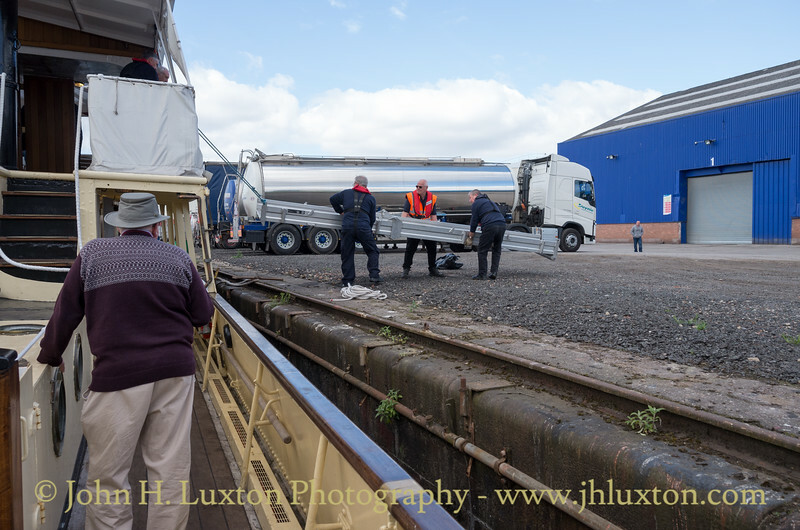 Removing the gangway at Salford Quays. 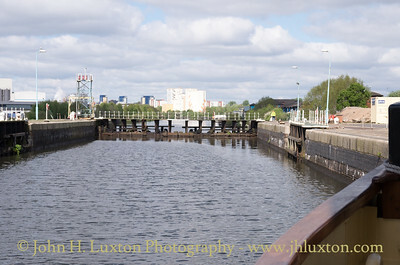 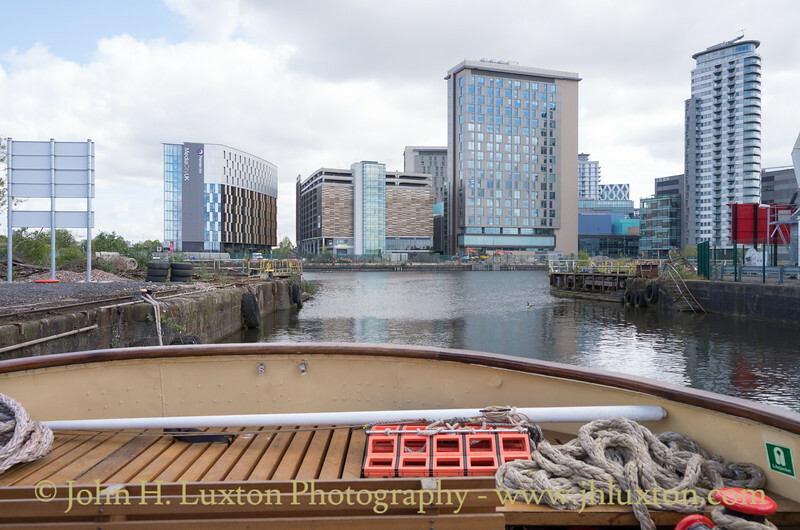 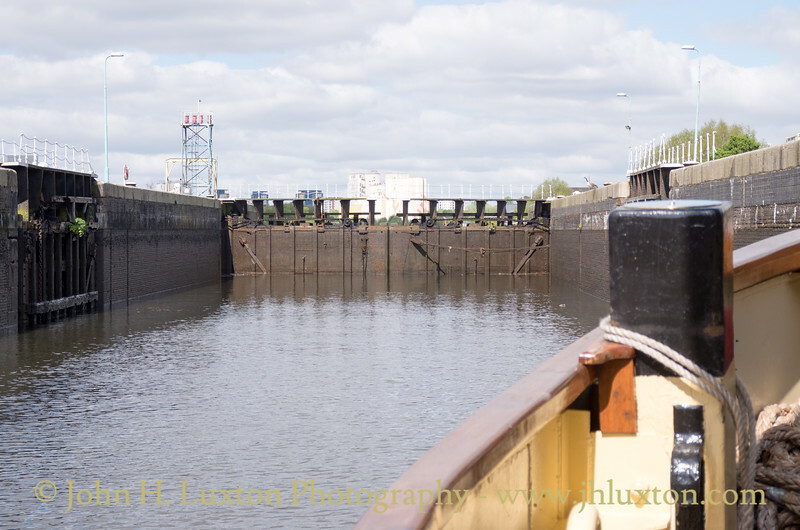 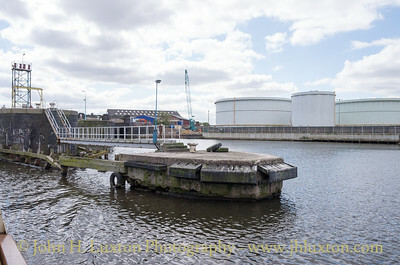 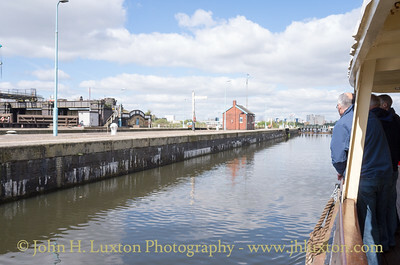 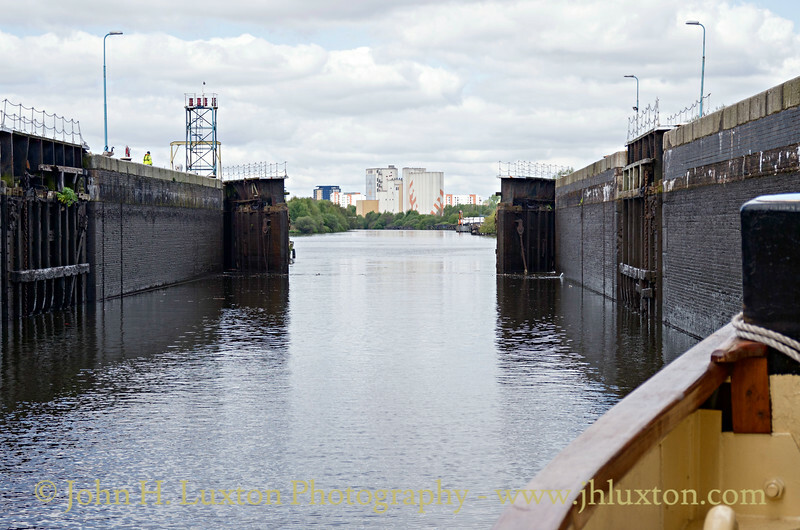 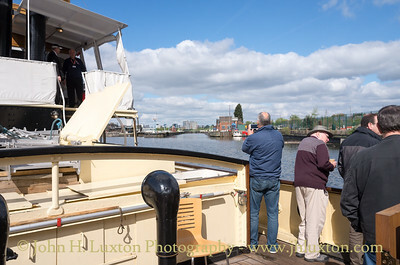 View into the main basin from one of the former Manchester Dry Docks were the DANIEL ADAMSON commenced the cruise. 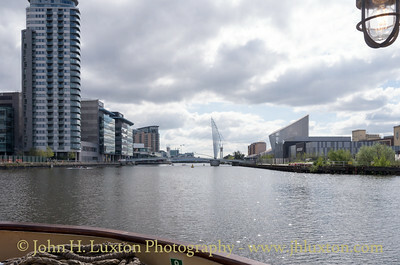 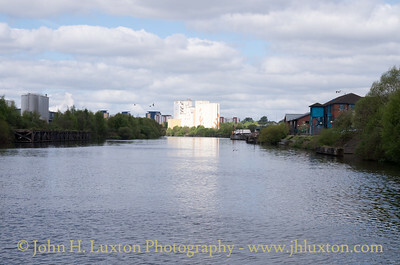 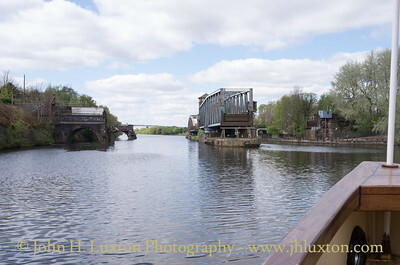 A bridge failure and silting had resulted in the cruise starting from this location rather than near the Lowry Centre. 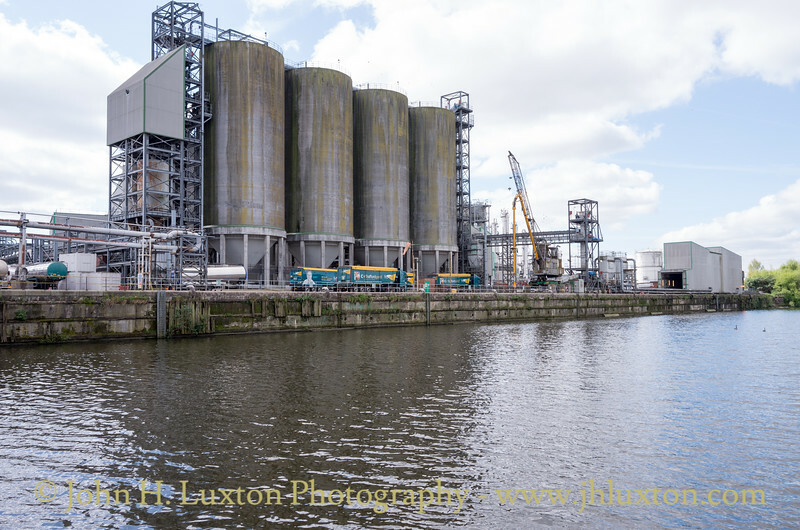 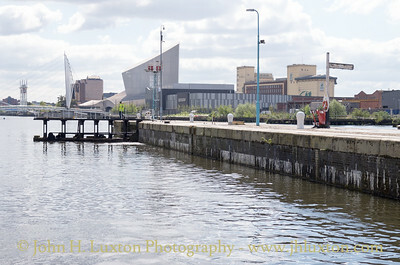 Backing out into Manchester Docks - The Imperial War Museum can be seen on the right of the photograph. 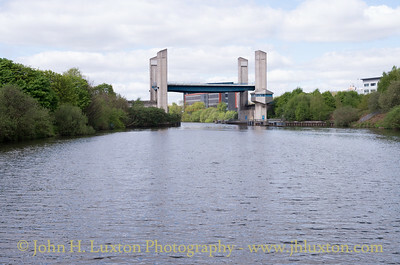 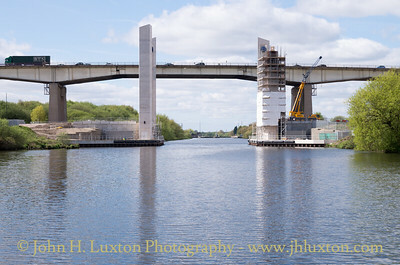 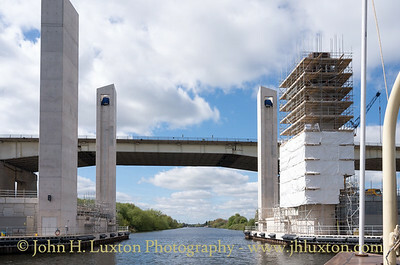 The Centenary Bridge across the Manchester Ship Canal. 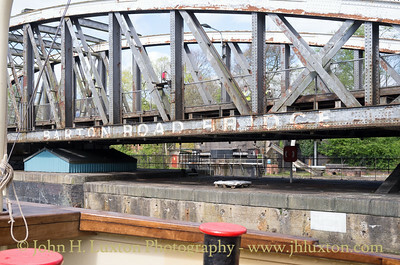 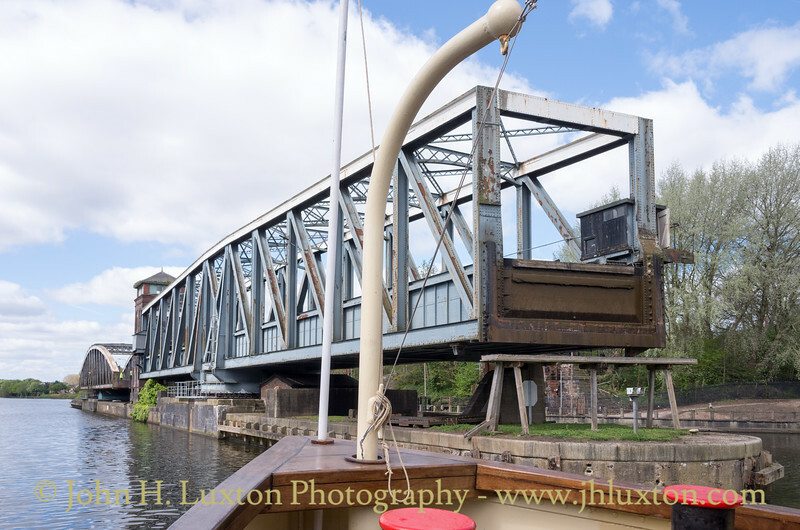 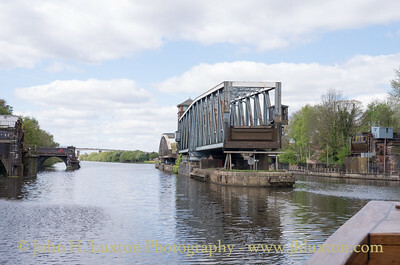 Heading towards Barton Swing Aqueduct and Barton Road Swing Bridge. 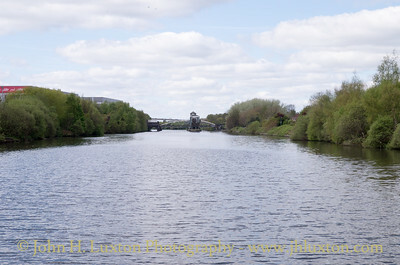 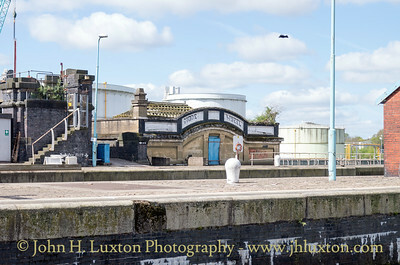 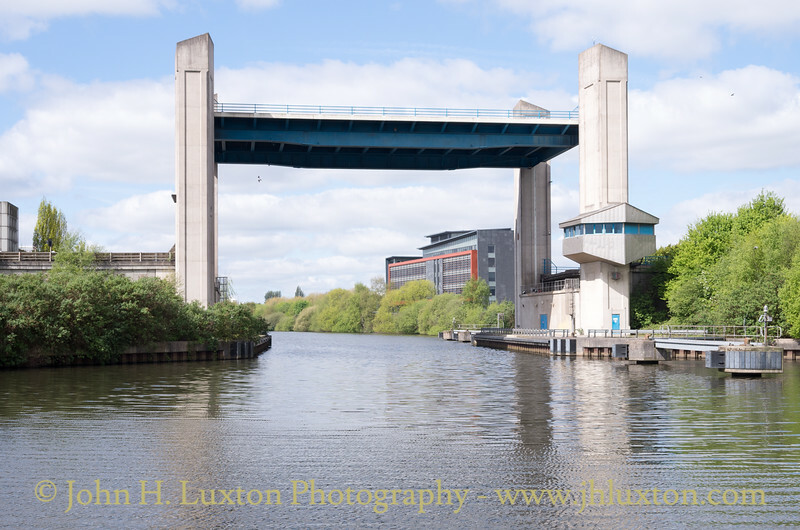 Barton Road Bridge and Barton Swing Aqueduct which carries the Bridgewater Canal across the Manchester Ship Canal. 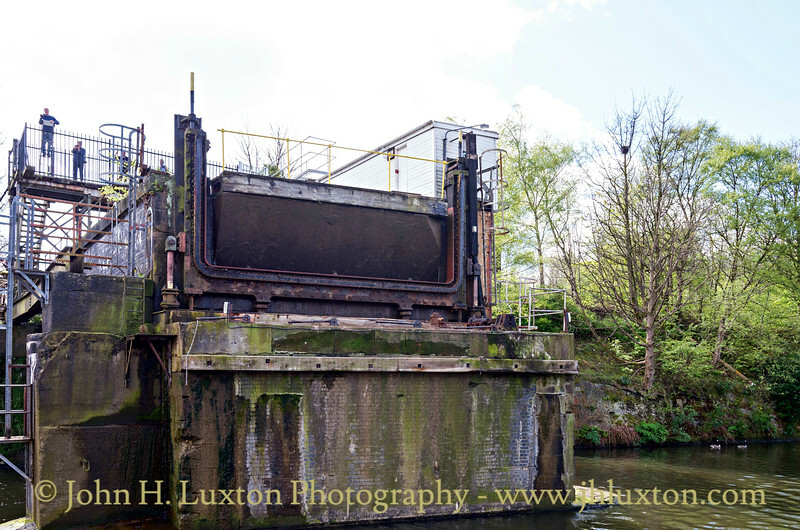 The new Barton lift bridge which is being rebuilt following its dramatic collapse whilst being tested in 2016.